And rather than relying solely on your course manual which takes ages to read (where do you even start?) 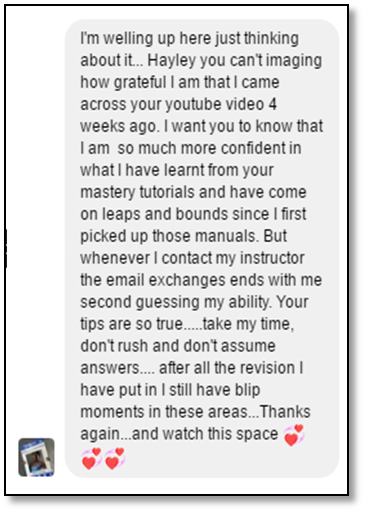 ... the L3 Nutrition Revision Mastery Series has your learning style covered with 6x full HD video tutorials, audios, cheat sheets and bonuses. There's no more re-reading the same paragraph, struggling with long nutritional words or nodding off... Meaning you slice your revision time in half and remember all the content ready for exam day. 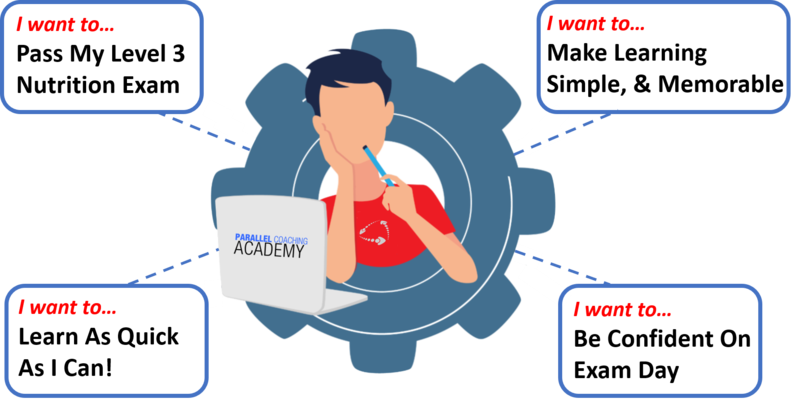 You can bolt-on the level 3 nutrition revision mastery series below, using your current academy login meaning all of your revision courses are in one organised place! BOLT-ON the Level 3 Nutrition Revision Mastery Series for £32 ̶u̶s̶u̶a̶l̶l̶y̶ ̶£̶9̶7̶. Upon payment the L3 nutrition will appear next to your other revision courses, in one organised place on the academy homepage. You'll get instant and lifetime access to: All 6x Level 3 Nutrition full HD Video Modules, Cheat Sheets, Instant Learning Hacks, Success Guide, MP3 and MP4 downloads, and Unlimited Student Support. It is designed to leave you competent and confident for your Level 3 Nutrition for Physical Activity exam, with your current training provider. 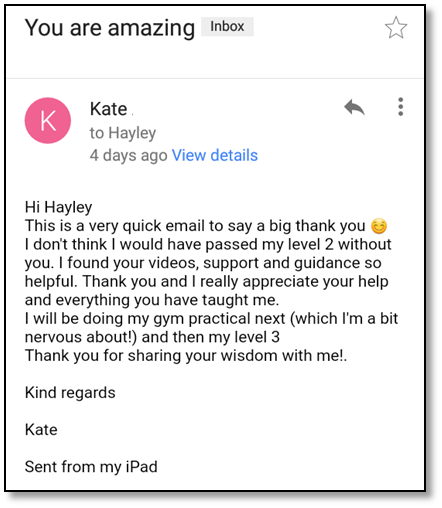 If you are currently studying for any Level Nutrition exam, maybe it’s for a fitness course qualification, within health, well being or as part of your GCSE or A-Level studies… These 6 modules will guide your revision to a confident pass!